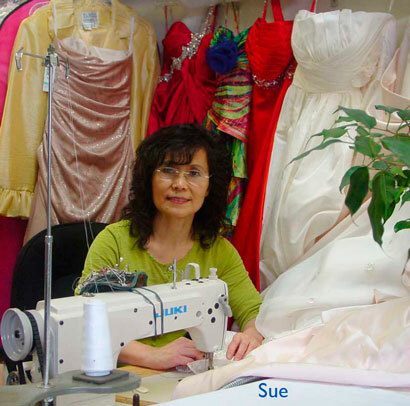 Sue Chang, the owner of Moon’s Alterations, has over 25 years experience in the business. Over the years, Sue has become well known among Alaska brides and their families. In fact chances are a relative or friend of yours has already done business with Moon’s Alterations as Sue does regular alteration work on all sorts of clothing – jackets, shirts, pants, suits, uniforms, zippers, dresses, blouses, etc. Quality workmanship and affordable prices are the two mainstays of her business. At Moon’s Alterations, your satisfaction is guaranteed.